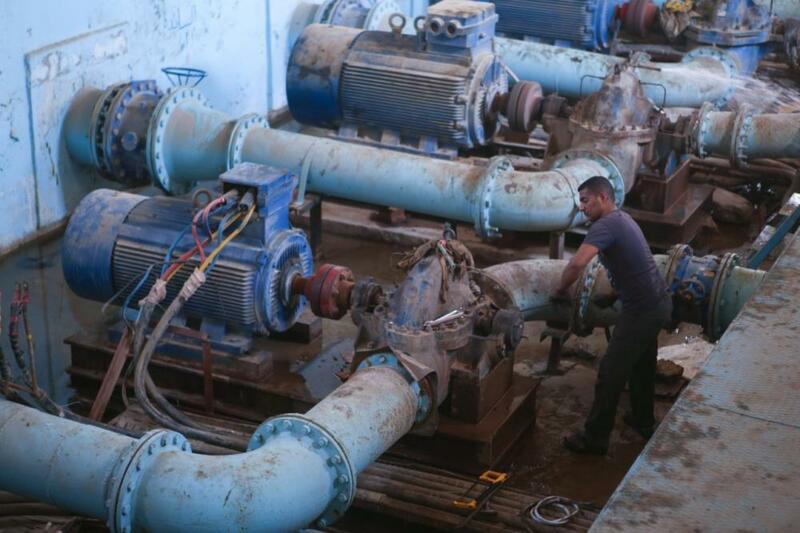 More details about how the water crisis in Basra was diagnosed and how the expert team sent by the supreme religious authority started the first steps to solve the problem. 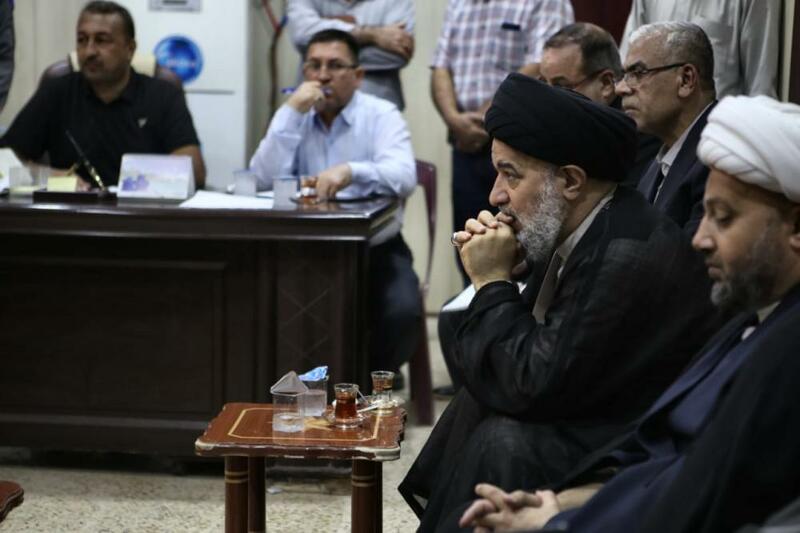 After the televised statement of the supreme religious authority, Sayed Ahmad al-Safi on Friday morning September 7, 2018, in which he explained the details of being assigned by the supreme religious authority to help solve the crisis of drinking water in Basra. 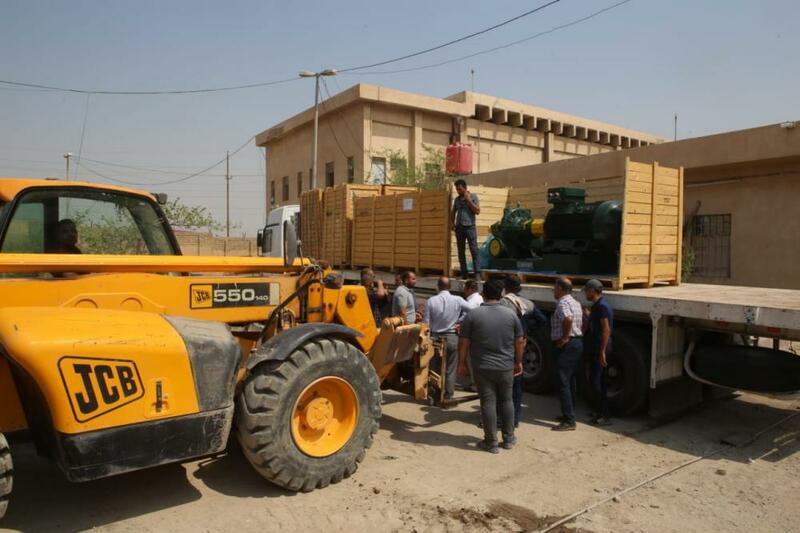 Today, Al-Kafeel Global Network reveals in pictures, the details of the technical effort of the experts teams to solve the crisis. Eng. 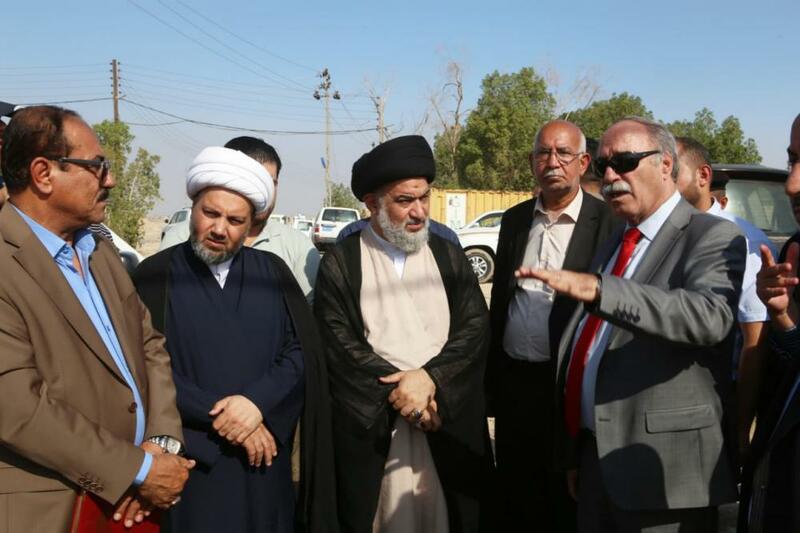 Diaa Majeed, one of the members of the delegation of experts, who accompanied the representative of the supreme religious authority; his eminence Sayed Ahmad al-Safi to follow up the subject of the waters of Basra, announced: "All praise be to God, we have started the first steps to provide water to Basra, through the Bad'a cannel coming from Gharraf river, with practical steps by providing all financial and human effort for the success of this solution, under the supervision of the representative of the supreme religious authority following the instructions of his eminence to find quick and effective solution." Eng. Majeed added: "Once the delegation arrived to the province, a series of meetings with the relevant authorities were held, and then we went to the water station to develop the necessary and effective solutions, and after conducting a local detection of the station and its pumps under the field supervision of the representative of the supreme religious authority; Sayed Ahmad al-Safi, we have found that the station suffers from negligence and works under its producing capacity (30 to maximum 50%). 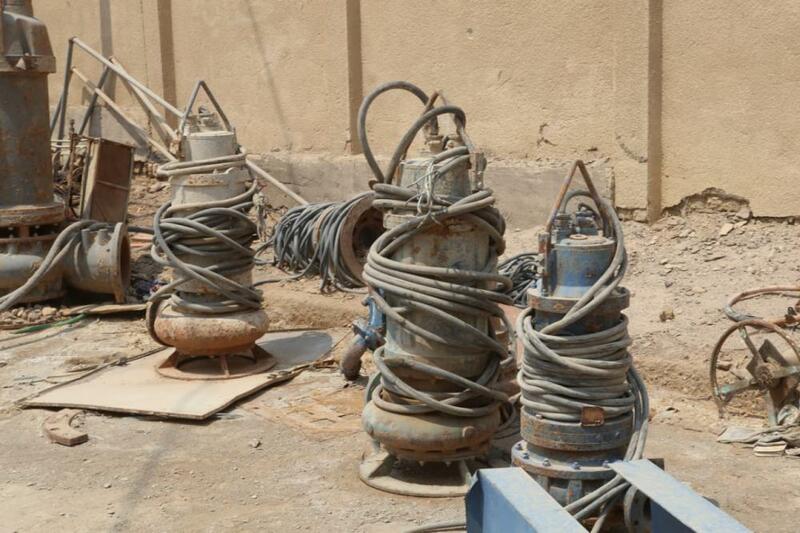 Some stations were not working for very simple reasons, such as not replacing the filters. " 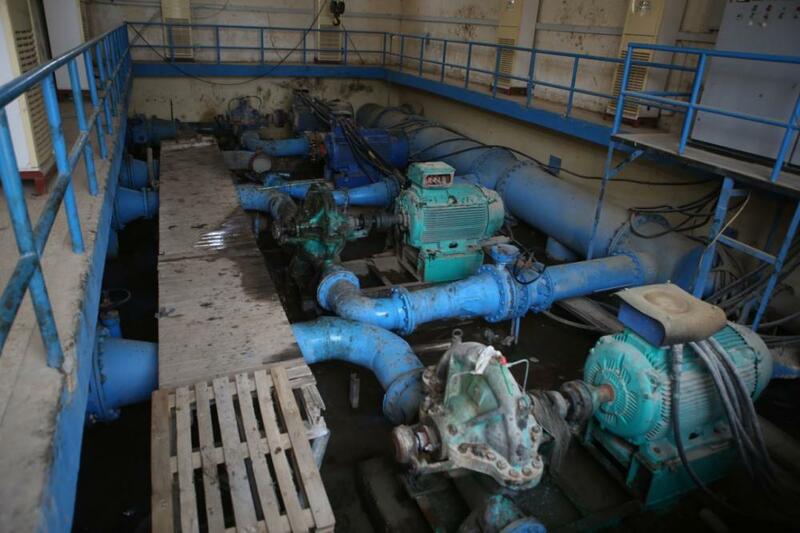 1- The al-Abbas (p) station that is the water carrier from the Bad'a project, contains 32 giant pumps, 18 of which are idle pumps that cannot be repaired and should be replaced, while the rest is either subject to reparation or operate under its capacity. 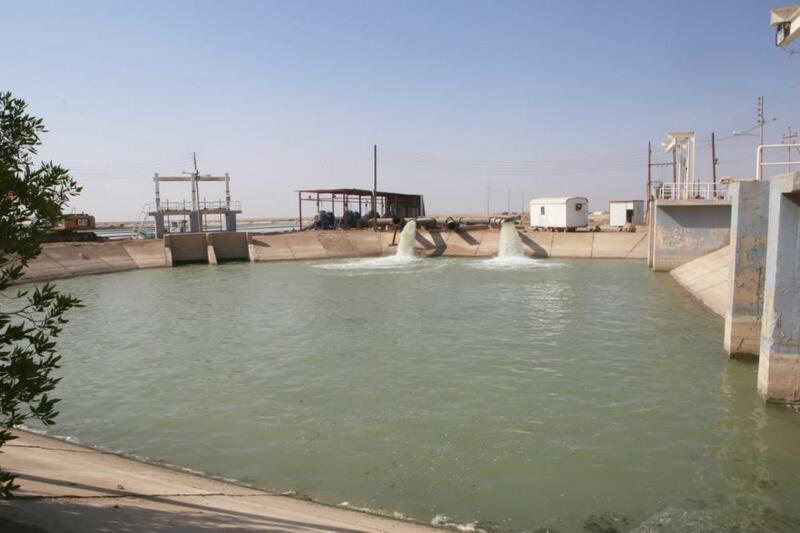 2- The water release reaching the Bad'a channel is little. 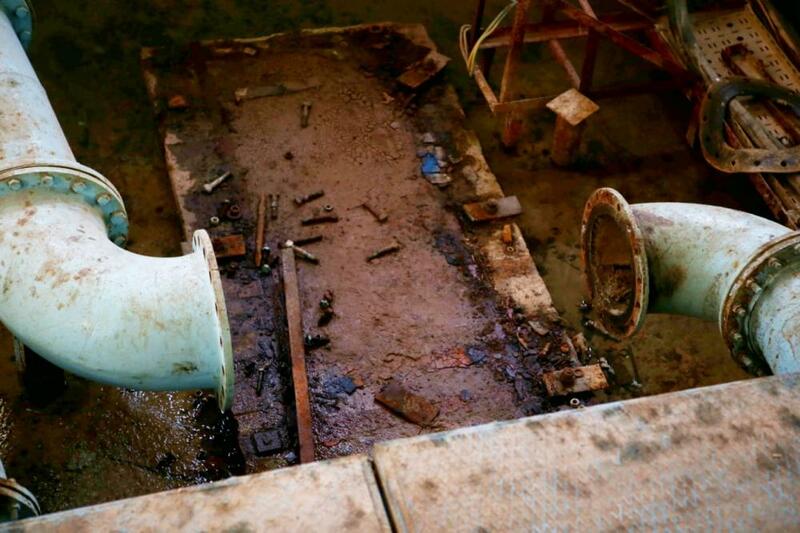 3- There are plants that overpass the water conveyor lines from the station that take directly water from the lines, or cracks in these lines and in the conveyor network in the city. 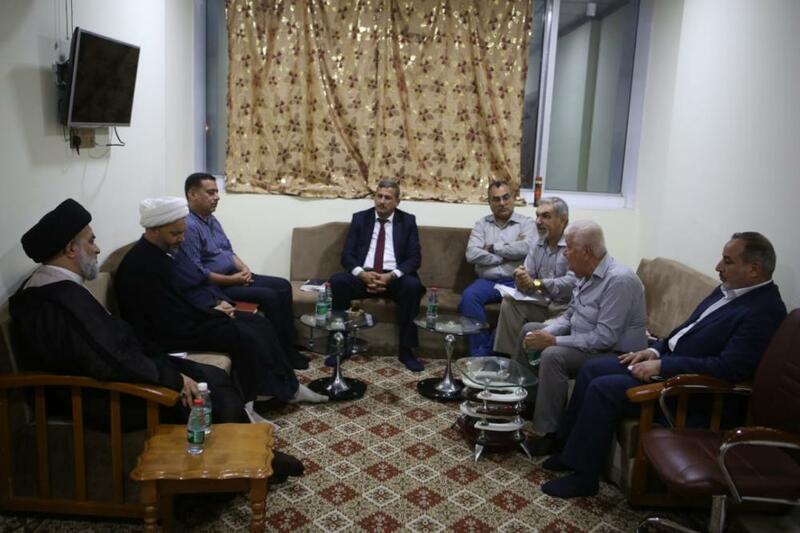 Meeting of the representative of the supreme religious authority Sayed Ahmad al-Safi with the Minister of Water Resources, and the concerned ministry directors, to discuss the first problem. 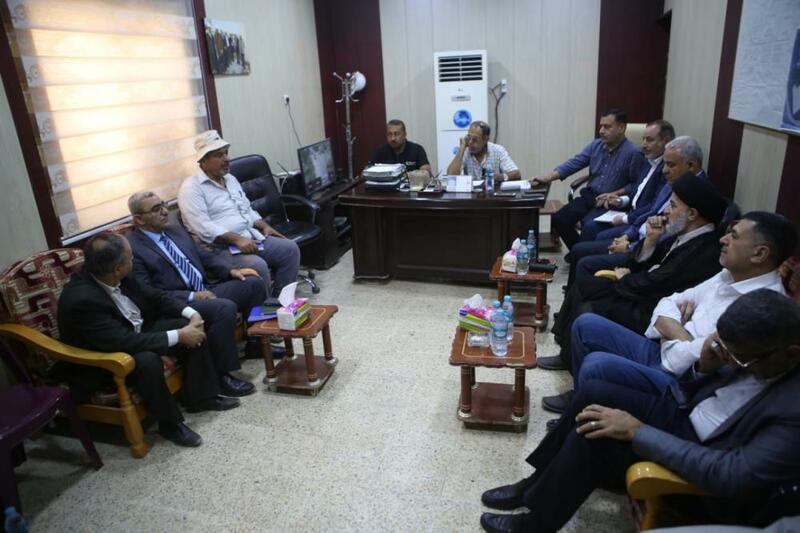 It was decided after the meetings to increase the water pumping to Al-Bada' canal to reach between 5 and 7 cubic meters / second, which is enough to allow the project to operate at full capacity. 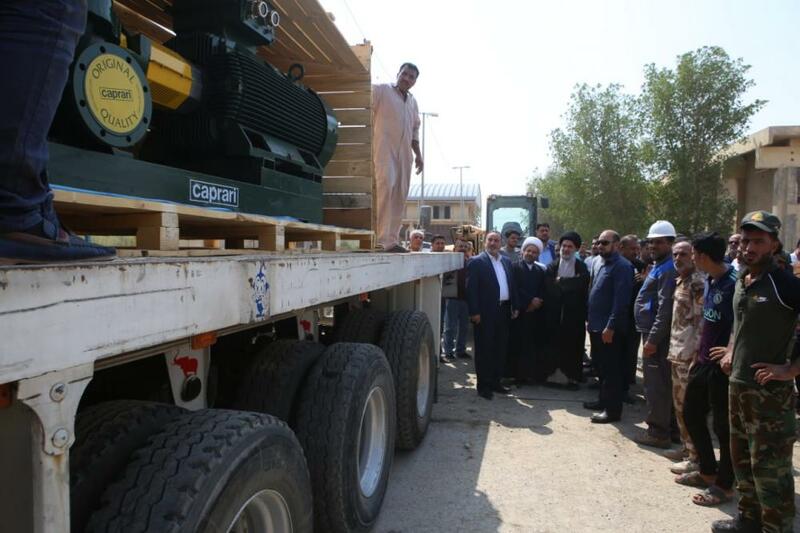 To feed 3 million citizens - according to the statistics of the water department of Basra - and it is hoped to raise it to 9 cubic meters / second and in the coming days will reach, God willing, to 10 cubic meters / second. 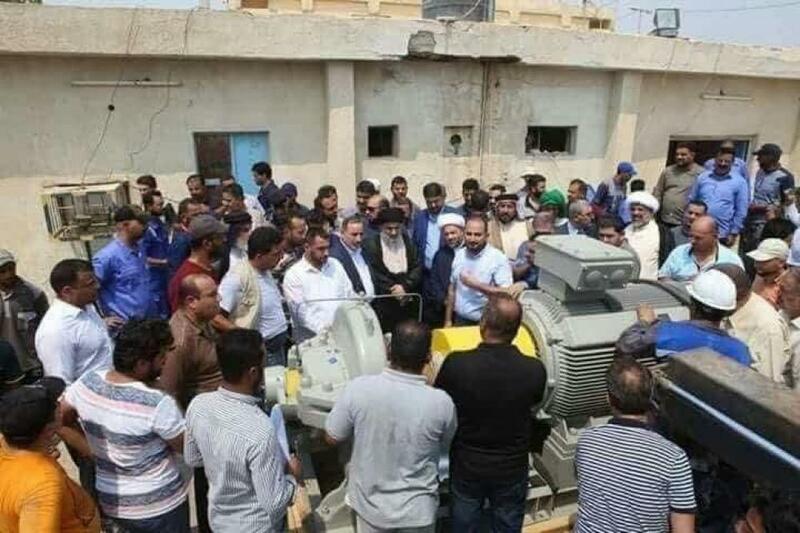 The second problem, Sayed al-Safi ordered to contract directly with an Iraqi company to supply Italian pumps from Caprari Company for the installation of the 18 new pumps to be purchased instead of the damaged ones. 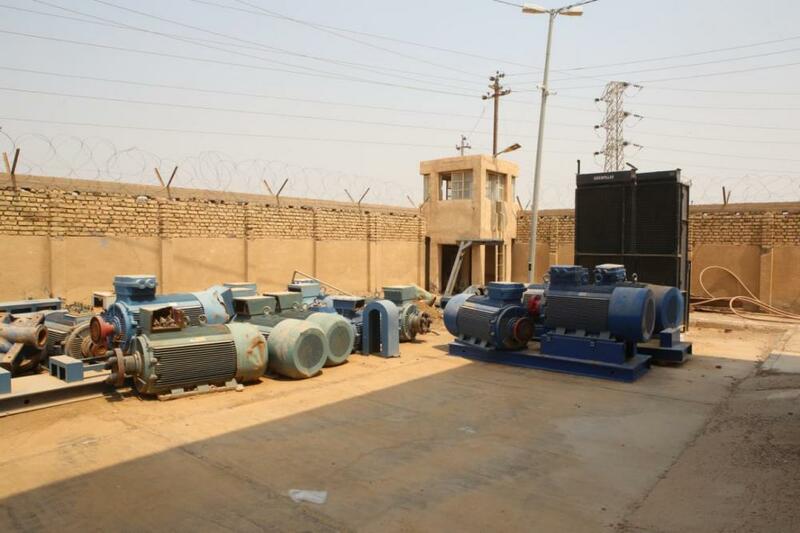 And in a short period, the station will operate with its full capacity, as eight new giant pumps were purchased from several Iraqi provinces in Baghdad and northern Iraq because of their scarcity and lack of need for simple uses, which required making many calls. 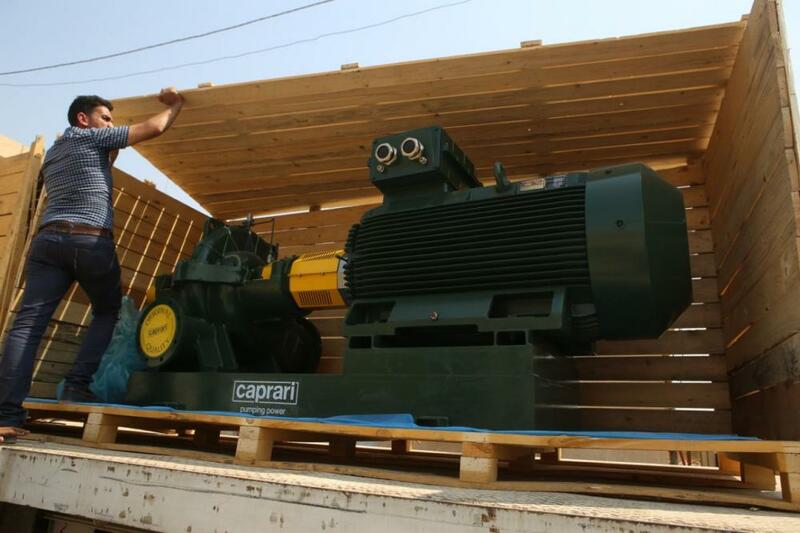 Also, the reparation of idle pumps, and increase the capacity of other pumps by replacing or repairing some spare parts. Sayed. 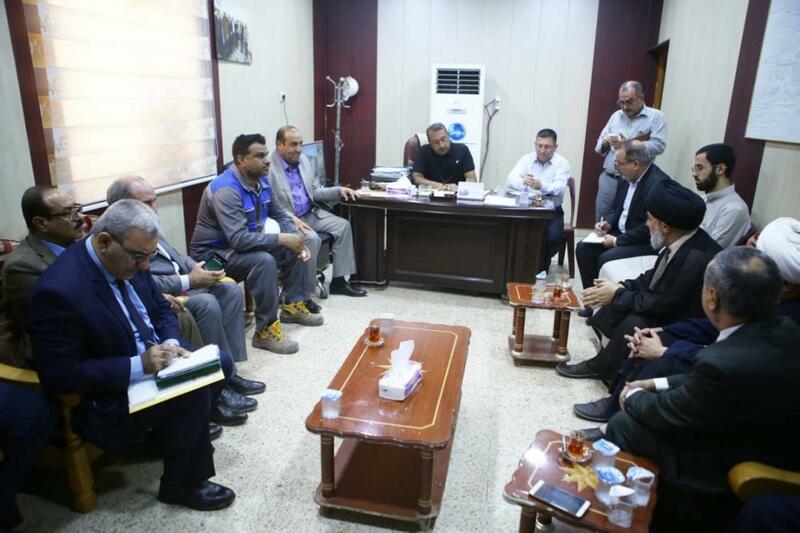 al-Safi has called the Minister of Oil three times and met with the Undersecretary of the Minister of Oil, some directors of the Ministry of Oil and the directors of the oil companies six times to solve the third problem. 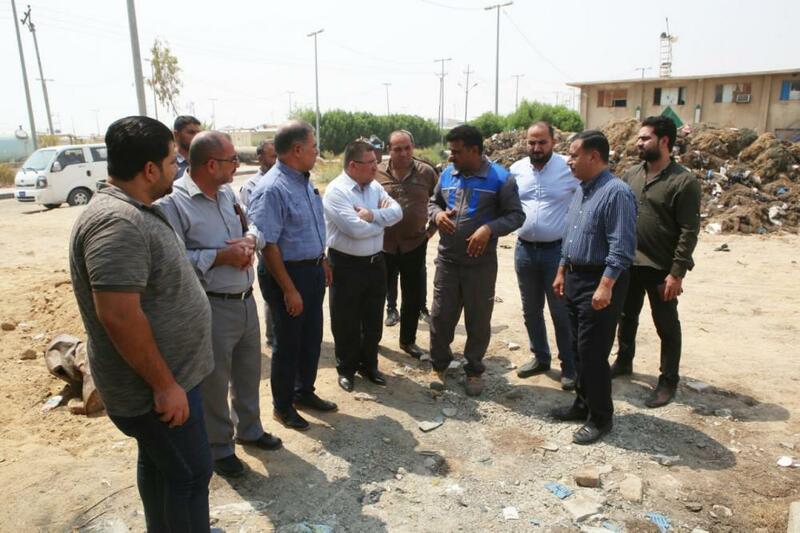 The meeting resulted that it is the ministry's responsibility to rehabilitate the network of conveying pipes, and the local network of pipes in Basra, to be ready at the opening of the station with all its producing capacity, so there is no stagnation of water in the network, and also to rehabilitate the (R0) pumping station, which is considered the main feeder artery for the drinking water stations of the province of Al-Basra. 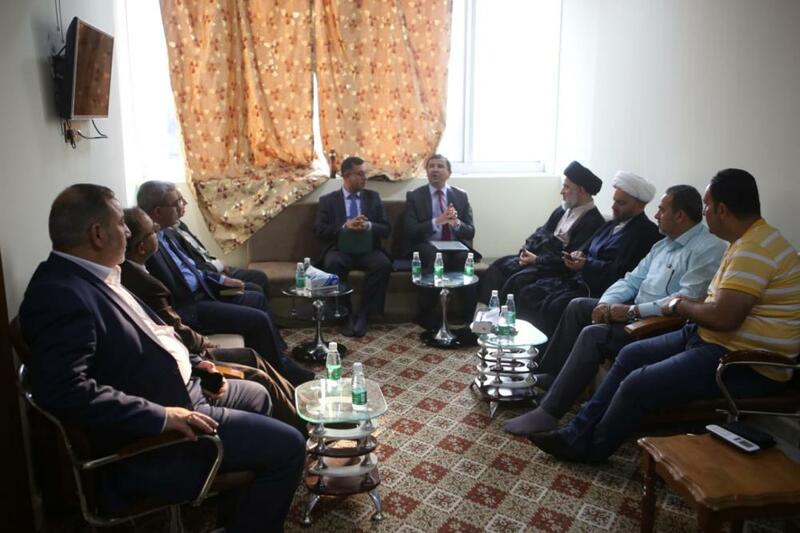 After the meeting, the ministry harnessed its capabilities to work with the delegation of experts accompanying the representative of the supreme religious authority. They started working on Friday morning by 4 teams (mechanic, electrician, maintenance and systems). 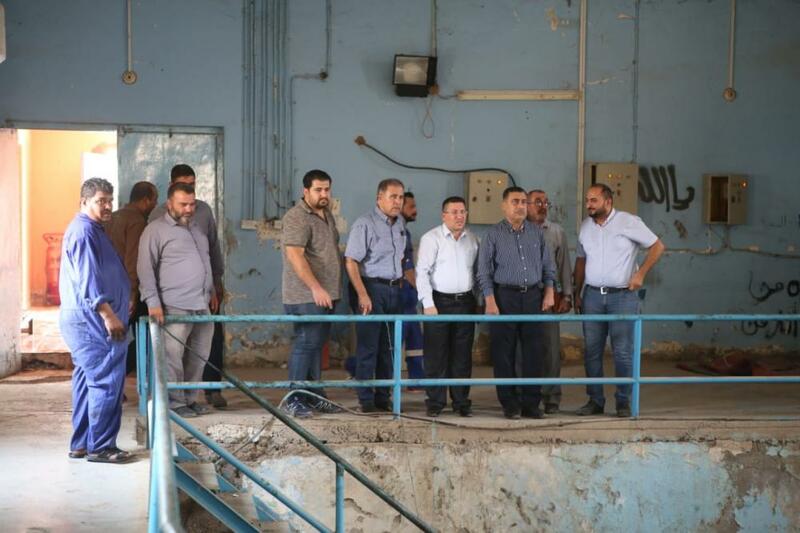 Each team is headed by a chief engineer and a specialized engineer from the ministry, and another one from the expert team from the delegation of the supreme religious authority." 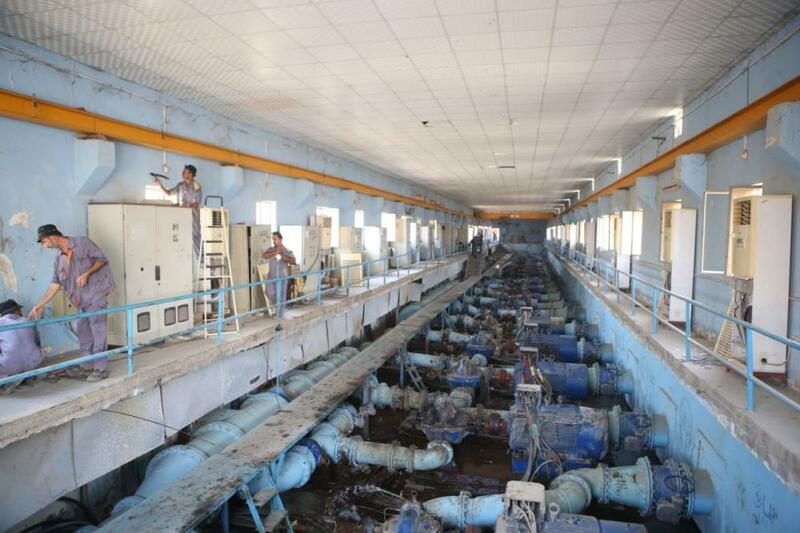 On the other hand, a member of the expert team indicated that: "We have conducted the maintenance works of the basins of the plant by removing silt and plants, and replacing the old spare parts due to aging and salt calcification." 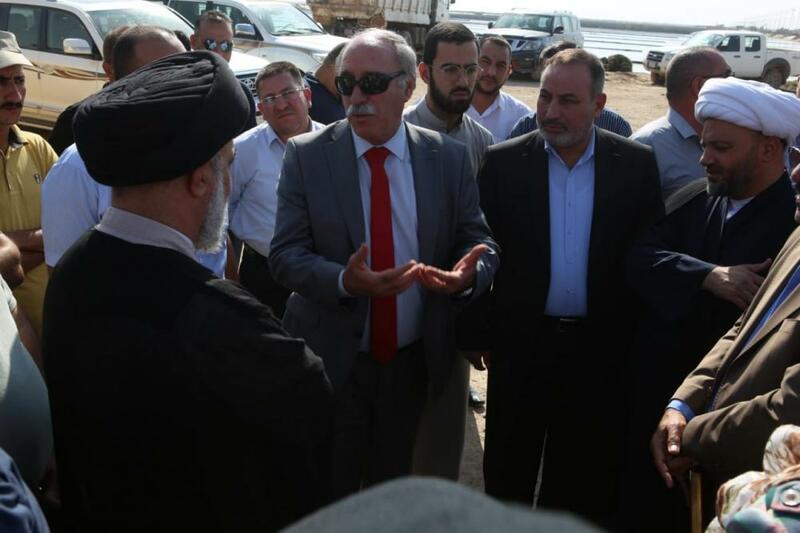 The expert confirmed that: "This work is the outcome of 6 days of work starting from the task of delegation of the supreme religious authority on September 2, 2018 and we will inform you later with the developments until the opening of the station, God willing, in the coming days."